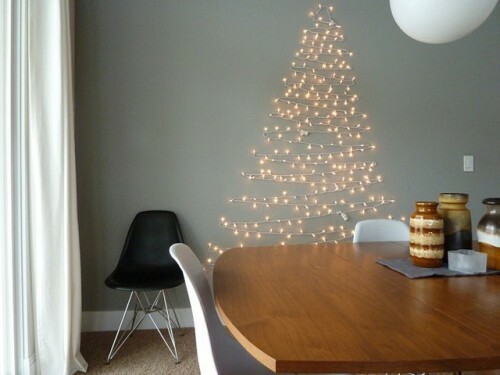 There’s no Christmas without a Christmas tree but what if you don’t have enough space to accomodate one? 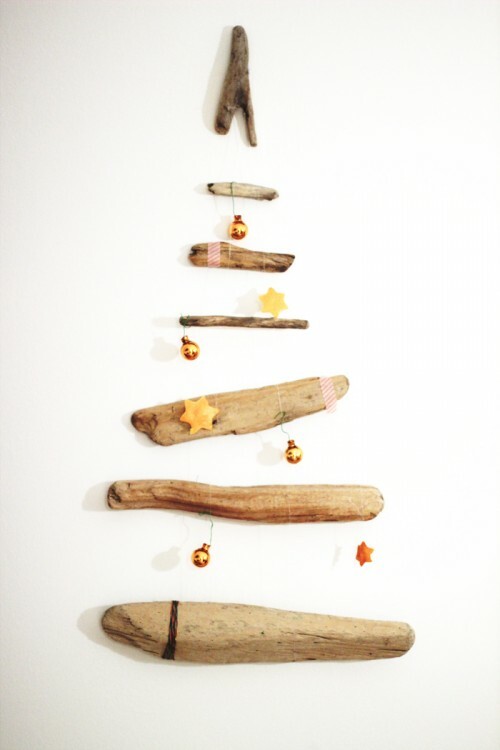 Or you just want something new and unusual? 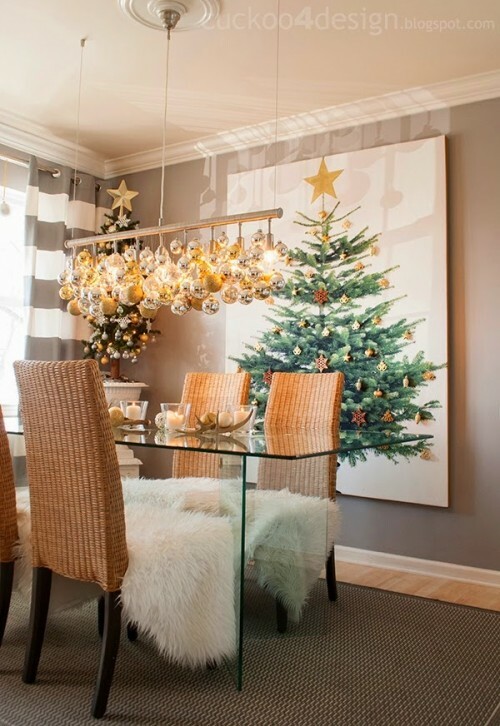 Then a wall piece is right what you need! 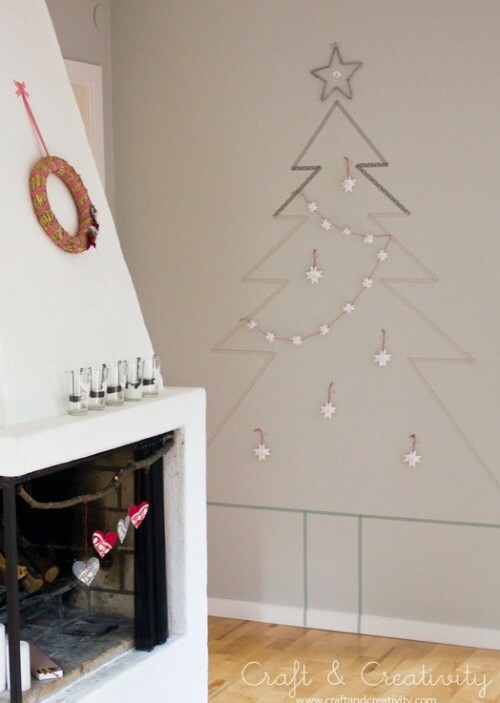 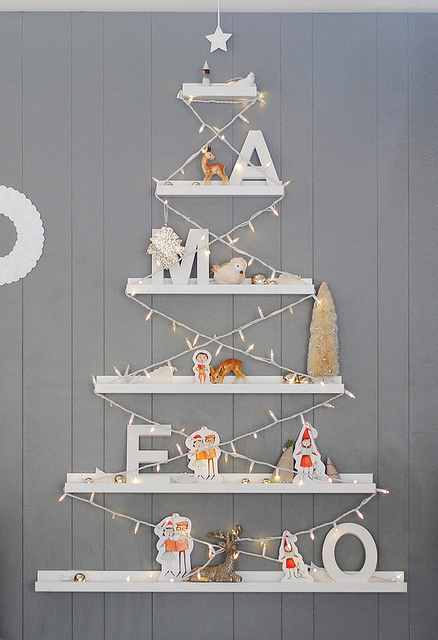 The easiest and brightest idea here is attaching Christmas lgiths to the wall in a tree shape. 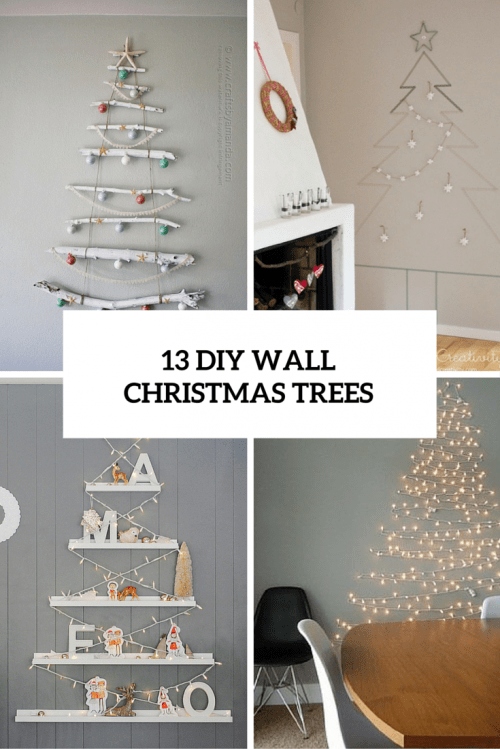 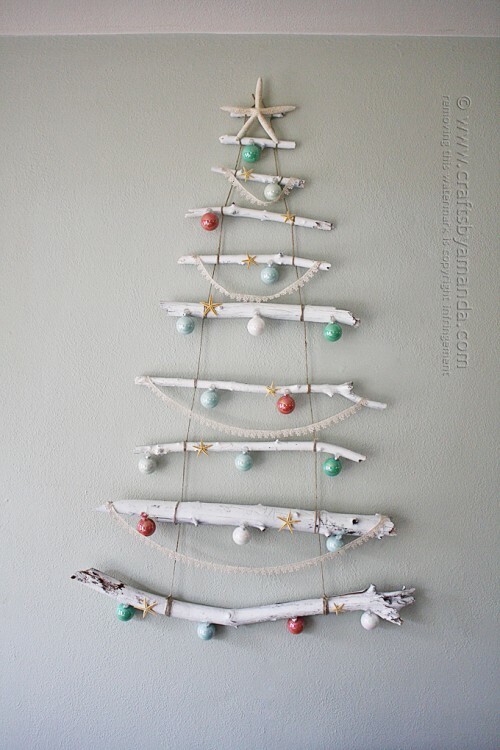 You can also go for fir branches or just driftwood and decorate them with Christmas ornaments. 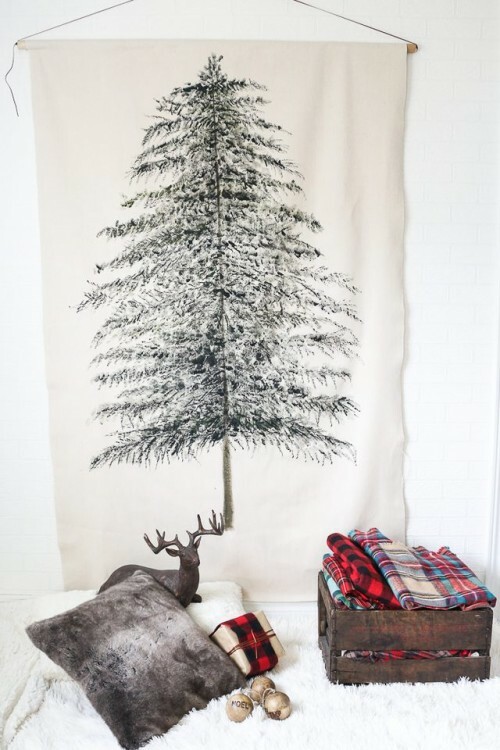 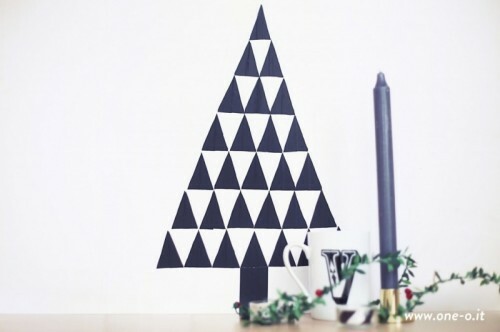 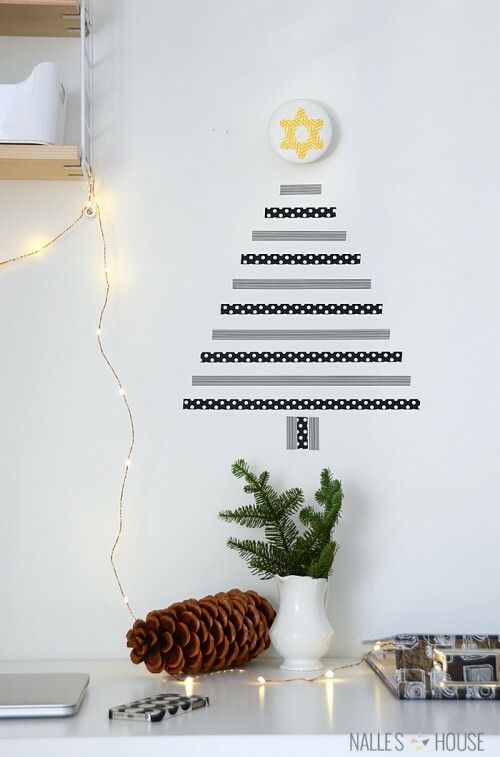 Washi tape is a cool and modern idea; if you are good at painting, you can paint a tree on fabric and hang it on the wall. 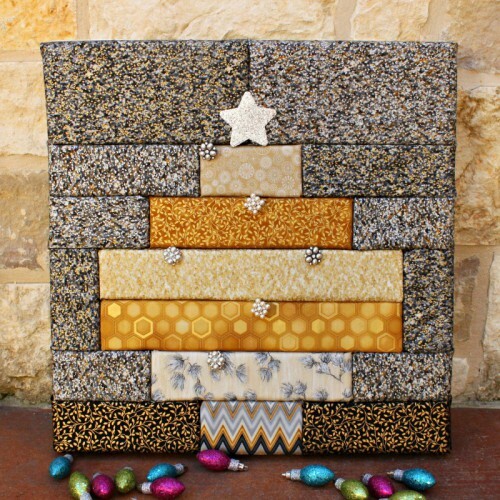 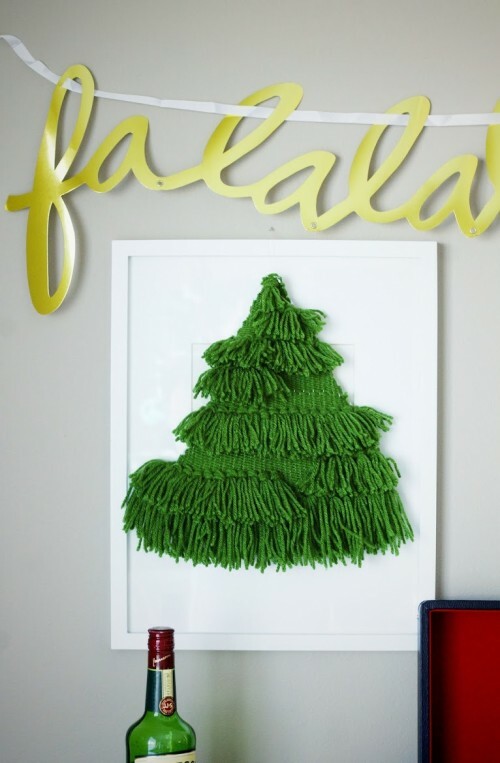 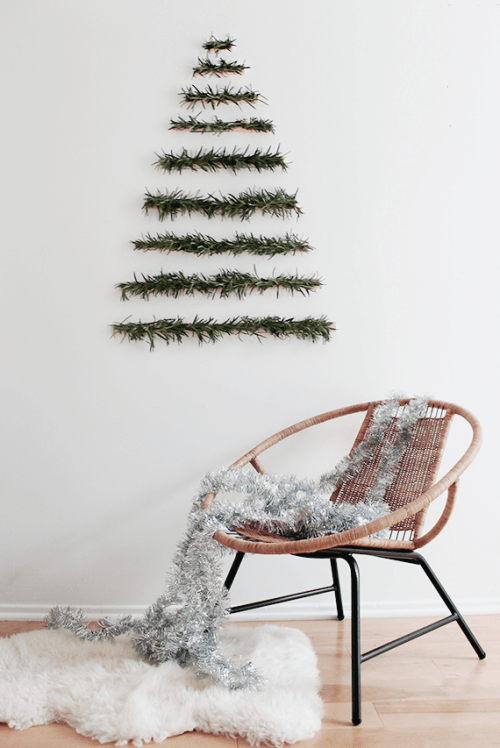 Look at the tutorials below and make your Christmas unique with a cool wall tree!